Rumors have been swirling around Chautauqua all summer. When the Colorado Music Festival announced its summer season, it was stated that three of the guest conductors were candidates to replace Michael Christie as music director of the festival. Those three were William Boughton, Carlos Miguel Prieto and Jean-Marie Zeitouni. 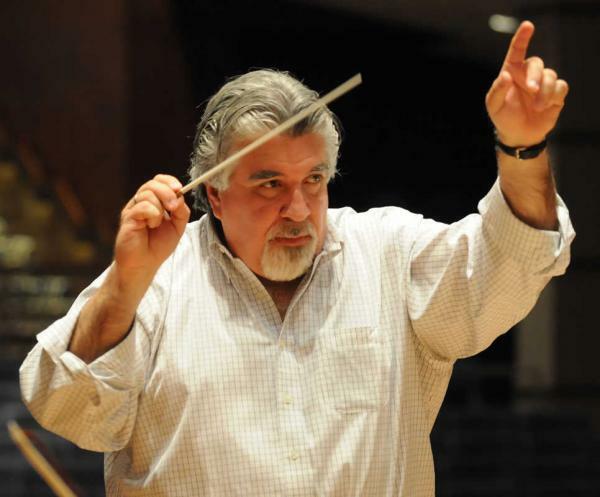 Of the three, Boughton and Prieto have already appeared at the festival, and Zeitouni will conduct in the festival’s final week, Aug. 3 and 7-8. But other conductors were well liked by the orchestra and had expressed an interest in the job. Were they candidates or not? That depended on who you talked to. Members of the orchestra said they were. Or some of them were. But officially, they weren’t. Or probably weren’t. Officially there were three candidates, and the CMF Board and search committee admitted they had no contingency plan if none of the three worked out or accepted the position. That seemed a perilous situation, considering the festival’s past record of hiring an executive director, when it took a year and one failed hire to get Andrew Bradford into the job. But that was the official position. Today the search committee issued a statement acknowledging that more than just the three official candidates were finalists for the job. Andrés Cárdenes, who taught violin for two years in CU Boulder and is co-director of Strings Music Festival in Steamboat Springs, is also a candidate, even though he was not able to conduct this summer. And apparently the committee is open to other possibilities as well. For anyone who has been following the festival over the summer, this is a fascinating statement. Until now, Cárdenes has not figured in the discussion of potential candidates. The rumors have all been about other guest conductors on the summer schedule, particularly Rachelff and Grams. None of this is about qualifications, by the way. Cárdenes has extensive experience as a violinist, teacher and conductor that would make him an interesting fit for the job leading both the CMF summer festival and the Center for Musical Arts. (Disclosure: I knew him slightly when we were both graduate students at Indiana University.) And some of the guest conductors have made impressions as strong as, or stronger than, some of the official candidates—which makes the very last phrase of the statement particularly fascinating. In any case, it is now official that the search committee is considering other possibilities than the three “official” candidates. And by saying so, the festival has helped settle the rumors. I started Sharps & Flatirons in 2014 to supplement the writing on classical music that appears under my name in Boulder Weekly . I hope to bring you articles about events and links to the stories in Boulder Weekly (Performance Previews); news about the local classical music scene (Music News); an occasional review (Performance Reviews); and perspectives on the wider classical music world (Viewpoints). Like all blogs, this will reflect the personal interests, not to say quirks, of the author.